Travellers flying American Airlines’ Dallas-Hong Kong route can now book premium economy class seating following a cabin retrofit of the Boeing 777-300ER aircraft that flies the route. American Airlines has trimmed the number of economy class seats on the aircraft and replaced these with 28 seats in premium economy laid out in a 2-4-2 configuration. On the 777-300ER, seats provide a pitch (legroom) of 38 inches and a width of 19 inches. This is compared with the 36 inches of pitch and 17.1-18.1 inches of width offered in Main Cabin Extra, and 31-32 inches of pitch and 16.2-17.1 inches of width in Main Cabin. Passengers also receive bedding and pyjamas from Casper along with amenity kits. American Airlines’ 777-300ERs are also still outfitted with both business and first class cabins – neither of which has been reduced with the retrofit. A review of the business class cabin on the Dallas-Hong Kong route can be read here. Speaking to Business Traveller, Shane Hodges, vice president of sales for Asia-Pacific, said American Airlines has seen significant demand for its premium economy seating across the region, most notably from passengers that would typically fly in the Main Cabin. American Airlines has been aggressively overhauling its entire 777 fleet of 777-300ERs and 777-200s with premium economy cabins in recent months and the Dallas-Hong Kong route is the airline’s latest in Asia-Pacific to see the addition of a premium economy cabin. Indeed, American Airlines plans to roll out premium economy onto all of its flights to and from Asia-Pacific within the next 12 or so months. The airline’s two Hong Kong services – to and from Dallas and Los Angeles – are both operated by the B777-300ER, while its mainland China routes are served exclusively using its B787-8 and 787-9 Dreamliners – the latter already offering a premium economy cabin. Flights to and from South Korea, Australia and New Zealand, meanwhile, are solely operated by the 787-9, while its Japan flights are flown by a combination of 787-8, 787-9 and 777-200. The completion of the 777 retrofit means the 787-8s will be the only aircraft operating in Asia without a premium economy offering, though these too are set to complete their own refits by the end of next year. On these aircraft, however, business class will see a reduction in order to make room for the new seats. “On the 787-8 we’ve got two rows of business class to the right of door two – that’s where we’ll be putting premium economy, so we’ll be reducing the number of business class seats,” said J Russ Fortson, vice president of operations for Asia-Pacific. 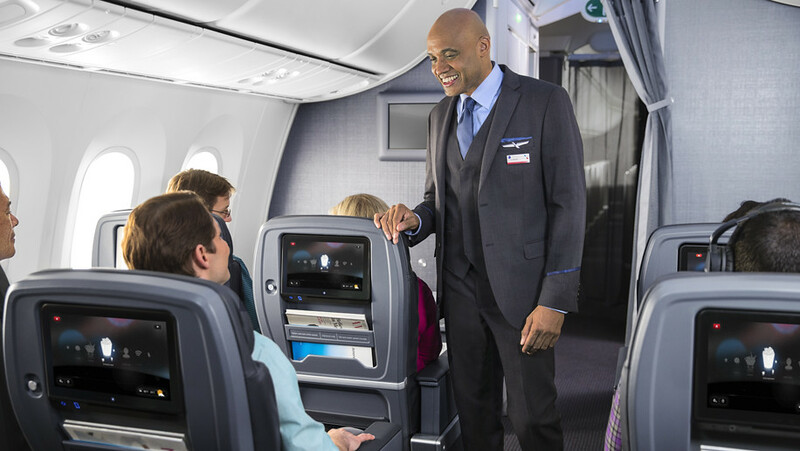 American Airlines doesn’t currently have plans to introduce new seat products in its other classes, though Fortson noted that the pressure to innovate means that airlines are having to reinvent their hardware with increasing regularity. “If you’re going to compete on the world stage, you have to continuously evaluate your full suite of products and services,” said Fortson, adding that the airline’s current position of profitability means it is “now in a position to invest in our product and service”. This also extends to new aircraft. Back in April, American Airlines placed an order for 47 additional 787 Dreamliners. These will comprise 22 B787-8s due for delivery in 2020 and 25 B787-9s expected for delivery in 2023. American Airlines was the first US carrier to introduce a premium economy product, with rival Delta Air Lines having since followed suit. United Airlines, meanwhile, announced back in January that it too would be launching its Premium Plus cabin, with international flights forecast to see the new seats later this year.